NORD pools, tennis centers and summer camps will reopen Friday, June 23, 2017 after closures due to Tropical Storm Cindy. All NORD facilities will be closed on Tuesday, July 4, 2017 in observance of Independence Day. Normal operating hours will resume on Wednesday, July 5, 2017. All NORD pools will be closed on Sunday, July 9, 2017 for staff training. Normal operating hours will resume on Monday, July 10, 2017. Monday, June 19, Mayor Mitch Landrieu, City officials, the New Orleans Recreation Development (NORD) Commission, and NORD community partners and sponsors celebrated NORD’s robust 2017 summer programmatic offerings. 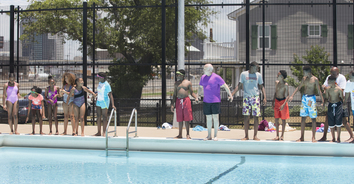 Earlier this month, NORD began facilitating 41 summer youth camps, 13 teen camps and a host of summer programming opportunities, including summer aquatics programs throughout the city that will focus on water safety skills and education. NORD also provides free meals to youth participating in summer programming through its partnership with No Kid Hungry and Sodexo. Summer is off to a great start! To view more photos of Splash Day visit here. Our monthly scheduled Teen Night is being cancelled due Tropical Storm Cindy. 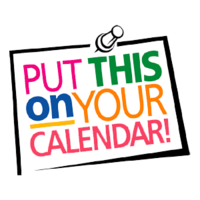 Teen nights will resume as scheduled next month July 28. Planned and produced by the NORD Teen Council, Teen Nights are kickbacks featuring open mic, food and fun. Come hear the newest, hottest music and share some of your own. Teen Nights are open to teens, ages 12-17. No cost. For more information, please visit nordc.org or call (504) 658-3052. NORD is seeking community organizations to partner with and host Movies in the Park events for Fall 2017. The Movies in the Park program is a 10-week series of free family-friendly movies shown on Friday nights at locations throughout the City. Booster Clubs, non-profit organizations, schools, and other community organizations may apply to host a Movies in the Park event. NORDC staff will work with the host organization to select a family-friendly movie. These events are a fun and engaging way to get families and people of all ages to come out and spend the evening with the community. The application deadline is June 30, 2017 at 5 p.m. For more information please call (504) 658-3075. Summer is here, and that means no school and a decrease in positive physical activities for teens. While these months provide critical downtime and rejuvenation, it is important for teens to remain active and stay involved in positive recreation and learning experiences throughout the summer. Registration for summer teen programs is now open. Programming includes volleyball, basketball and flag football. For more information on teen summer leagues or to register please visit nordc.org or call (504) 658-3052. Wonder what NOLA is doing this summer? Some are participating in STEM camps, while others are learning career skills, taking piano lessons, swimming, and all are building life-long memories! If you don't have plans for the summer don’t worry, there is still time to join in the summer fun. Pools are open now until September 3. We're looking forward to an exciting summer full of fun, friends and lasting memories! For programming schedules, pool locations, hours, or summer event details, please visit nordc.org. Fit NOLA and NORD, are working together to create a healthier city by promoting physical activity and healthy lifestyles. Fit NOLA aims to improve the quality of life for all whom live, learn, work and play in New Orleans. It includes fitness classes like pilates, yoga, Zumba, ballet, dance fitness, and line dancing, to name a few. 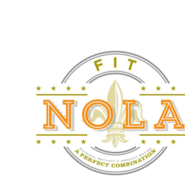 All Fit NOLA classes are no cost to participants and take place at Rec Centers, and parks across the city. To find out about a class near you or to register, please visit here. Outdoor Program Manager Shannon Burton was featured in the NRPA's Magazine “Newbies to Nature” article. In the article Shannon shares her experience with hiring and training new Outdoor professionals! Check the article out here. This summer come join Shannon and her team every Saturday for canoeing and fishing at the Joe W. Brown lagoon. No experience necessary. Open to ages 3 and up. No cost. All equipment, including life jackets and fishing poles are provided. First come, first paddle. Looking to give back to your community? NORD needs volunteers to fulfill our mission and vision to advance the physical, mental, and social well-being of New Orleanians. With a range of parks, playgrounds, facilities, programs, and events there is a volunteer opportunity for everyone. For more information about how you can volunteer your time and services, please visit here. Youth will enjoy a fun filled event of dancing, snapping it up in the photo booth and competitions for the kraziest looking hat and socks. There will also be door prizes. The dance is open to children ages 4-12. For more information please visit, nordc.org.